I made myself a deal to send as many opportunities that I can find to my friends and loved ones, so why not write about it too. If you’re really into Nigerian technology space, then you’ve probably heard about NESA by Makers, a New Economy Skills Accelerator. Home to, and school of Africa’s next generation of bold, innovative problem-solvers. 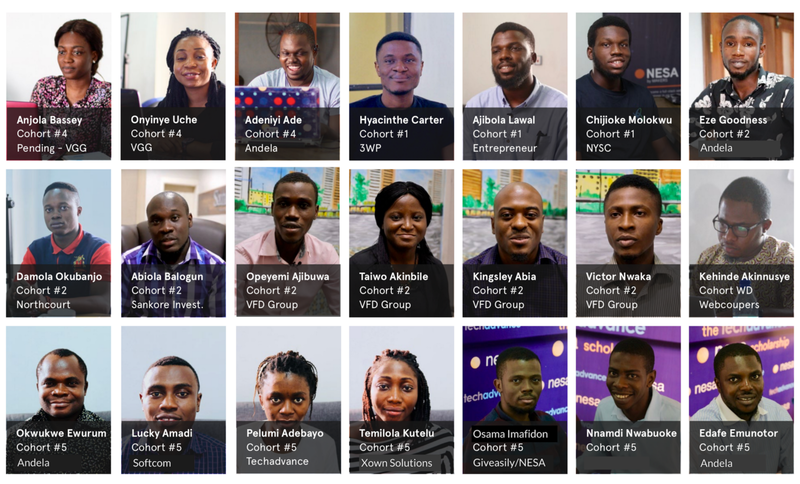 Since inception in May 2017, NESA has graduated 26 new developers who have gone on to work at reputable companies like Sankore Investments, Andela, Softcom, VFD Group, Ventures Garden Group, TechAdvance at al. The global technological revolution is well underway, and whether we reap the benefits of the emerging digital economy or not depends largely on how well prepared we are. For anyone who is driven, self-motivated and enjoys a challenge, learning software development is proving to be one of the quickest avenues to value creation and economic participation in this digital economy. Understanding core concepts in computer programing and product development using industry standard tools. Opportunity to build 12+ unique personal projects and work on real-life projects throughout the program. Career Support upon successful program completion. NESA’s program curriculum is designed to be and will require a full-time commitment from participants as well as a strong desire to push themselves above and beyond. Participants will be required to complete over 100 exercises, assignments and projects each month of the 3-month program duration. By the end of the program, participants will have built and deployed their own applications to the web (e.g techcareers. which was developed by NESA’s cohort #5TeamPurple and gained a fundamental appreciation for the world of technology and how it impacts our daily lives. Applicants must have completed NYSC and be resident in Lagos, Nigeria or willing to relocate to Lagos for the duration of course. Precious coding experience is not required. Classes start in January 2019 at the NESA by Makers campus in Yaba, Lagos. To apply, click here. Successful applicants will be notified on December 14, 2018.